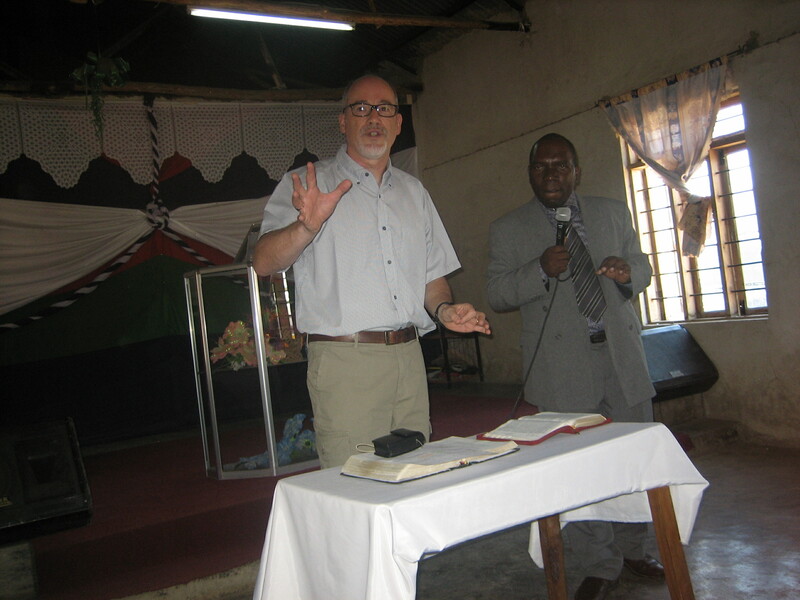 The ministry of Peter Cockrell serves to encourage, teach and train Christian leaders in the poorer and persecuted regions of the world. My passion is to see healthy local churches enjoying God’s grace and living for his glory. I am committed to the primacy of anointed expository preaching and bible teaching as the chief means the Lord uses to gather and grow his people. ‘Parakletos Support Ministry’ is the name of the new ministry set up to identify and facilitate Peter’s ministry. In the New Testament, ‘The Paraklete’ is the name given to the Holy Spirit, whose ministry, among others, is to come along side in order to help the believer. This is exactly how the ministry is developing – drawing along side in order to help! Much of this ‘helping’ is focused on Christians in the poorer and persecuted regions of the world. Things are getting worse for our brothers and sisters around the world, particularly in East Africa and Asia. Peter’s input into Bible Colleges and Churches has the aim of encouraging and strengthening those believers who suffer for Christ. Peter is now based in Essex, UK, where, when not travelling, he helps local pastors by mentoring and teaching. Most of the ministry comes under the banner of OC International, with whom Peter is an Associate Missionary. One particular vision Peter has is to provide theological literature for a Bible College in Rangoon, Burma, where he teaches. Any help on this front would be wonderful. All that Peter does to serve the Body of Christ is a faith venture, so your prayer backing is very much appreciated. When at home in the UK he is available for preaching and teaching. Peter, great to hear from you. This is my first time to (?) blog or visit a blog or whatever it is you do with a blog. Been fun poking around a bit. Anxious to hear about new ministries. Love to Emma and Girls, James. the true gospel is headen to the lost.only revealed to babes.not many who call themselves beleavers who dont accept to be correctet yet they have come from the corupted gospel sorces.teach this first true gospel and you will have no following.but as few that we are that proclaim the true gospel count me one of you here in kenya eldoret to preach to the poor in spirit yet hungry of the word not water nor food.welcome if you trust and believe you are christs and not worldlyfull. great website, i have read most of the stuff and i cant have it all. i cant get enough, it is so inspiring. Meeting you in Uganda was the greatest gift from God this season. May God continue blessing you. I need to get a degree. Can you visit me and open the Bible college of Diploma level in Rwanda, Kigali city? An inspirational website that gives glory to God. Thank you for listening to God and moving/doing according to His will. Please put me on your mailing list. Your teaching is lifting up the Lord, amazing. He bless the works of your hands. Very blessed with the work of your ministry. How can we be part of this great work God is doing. Thank God for you and your Ministry,keep up the good work Amen. I am very much blessed to hear that you are doing great ministry in Burma and Africa by teaching Local Churches and Pastors. Sir, Do you have any planning for Nepal to Visit and Encourage Pastors and Evangelist to extend the Kingdom of Christ in Nepal? Warm Greetings to you in Jesus name from Nepal. Sir, when I see your Ministry websites I was blessed by yours Ministry. I am very much blessed too to hear that you are doing great ministry in Burma and Africa by teaching Local Churches and Pastors overthere. There is a great need of your teaching and your encouragements Trainings for Nepali Leaders to built and establish Healthy Churches. Thank you for your ministry. Where is an address that I can send Theological books to? Thanks for your concern Damone. I’ll get back to you. Do you have an e-mail address?